Countless sandy beaches make up its coastline. Plus, it is surrounded by the Garraf massif, which gives it a very pleasant climate year-round and makes it perfect for outdoor activities. Sitges has come to host more events than nearly anywhere else in Catalonia. Such well-known events as the Sitges Carnaval, International Fantastic Film Festival, Gay Pride and the amazing Festa Major de Sitges. It is home to some of the best restaurants where you can enjoy the most exquisite, typical dishes of the region, including paella, xató and all sorts of fresh seafood right on the sea! Sitges isn't just a relaxing destination, you can also find a wide variety of options, including gay bars, discotheques, beach bars with music, etc. 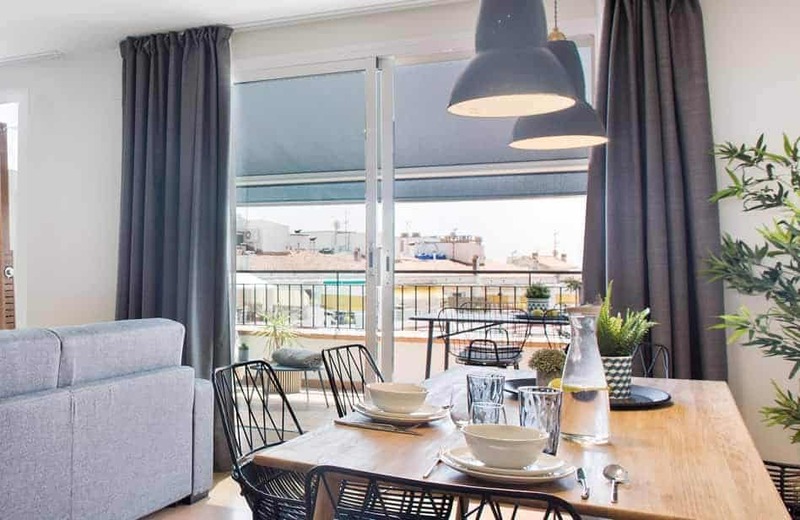 To make your stay perfect, though, you need the best accommodation in Sitges and Sitges Group Apartments offers you the chance to make this dream come true. Sitges Group Apartments has more than 25 years of experience and is the best option for enjoying the town to the fullest. Our dedication to top-notch service plus the comfort and location of our apartments, along the waterfront in Sitges or in the historical city centre, are unbeatable. We have a professional Customer Service team that will make your stay much more pleasant by actively collaborating with other services and activities in the town. All of our apartments have been decorated by professional interior designers to make each one unique. Book any of our accommodations instantly. You can choose the apartment that best fits your needs and tastes. If you book instantly through our website, you'll get the best price guaranteed, exclusive service and the best conditions.